Geneva, homeland of Jean-Jacques Rousseau, the world capital of watch making and international institutions, invested by multinationals and a financial centre for five centuries, is a city of tradition, hospitality and neutrality. Its cosmopolitanism benefits from the development of arts and culture. The Eaux-Vives district, known for its fountain, which culminates at 140 meters on the banks of the Lake Leman, always attracts numerous visitors. 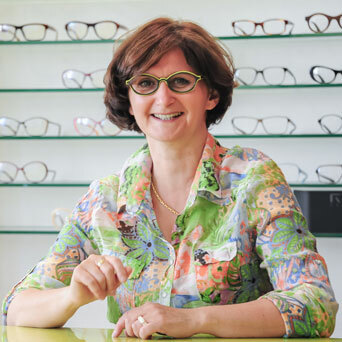 Set up at 2 rue des Eaux-Vives, Virginie opened the Sandie Clément Opticians boutique in 2006. Very demanding in aesthetics but also for the quality and comfort of the frames, she scrutinizes each one before selecting it. Sensitive and discreet, she advises her clients with style and know-how. She is equipped with very sophisticated equipment to meet the visual needs of her customers. She chose Essilor for its constant innovation in the eyesight field. This is an address where seriousness and pleasure are perfectly combined. A ride on the wild side to be and feel different. This feminin l.a.Eyeworks frame fitted with high index Essilor lenses and their new Crizal Sapphire+ coating that filters disturbing rays of light, is extremely comfortable. Should you have a question or want to learn more about our eyewear brands, please fill in the fields below. I will be delighted to reply to you.